You don’t always need complex tweaks to save mobile data Saving Mobile Data: 5 Clever Ways To Reduce Data Usage Saving Mobile Data: 5 Clever Ways To Reduce Data Usage If you’re on a limited mobile data plan, you may find opening your bill to be harrowing experience. Is there an overage charge? How much? And why was there so much data used? While the... Read More . Sometimes even a few simple ones can go a long way. Take the next three, for example. 1. Download email attachments over Wi-Fi. Letting your email app automatically download attachments as and when emails trickle in is a quick way to eat up all your data. Thankfully, many email apps allow you to restrict the downloading of attachments to only when you’re connected to Wi-Fi. You’ll most likely find this function in your email app’s Settings section. Activate it today. 2. Install a data compression utility. It will route your data through a third-party server and send it to you in a compressed form. Some apps in this category, like Opera Max and Onavo Extend, work their magic on all the apps on your smartphone and not just on the browser. Chrome and Opera also have a built-in data compression function. Of course, it doesn’t work system wide. 3. Restrict data usage for tethered devices. If you use your phone as a modem for other digital devices, you’re bound to use up your mobile data super quick. Which is why you need Tripmode [Windows, OS X]. It stops data upload and download for all apps except those you have whitelisted. This means no automatic updates, no data syncing while you’re tethered. 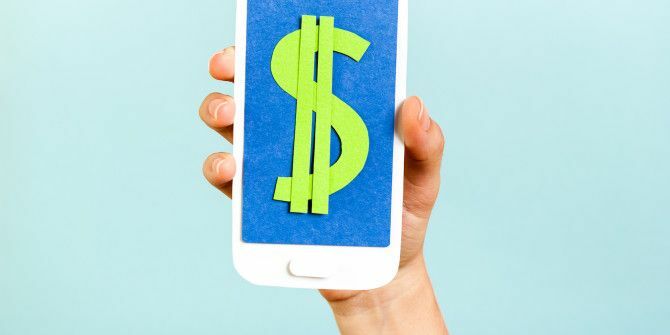 Giving up mobile data Save Money On Your Smartphone Bill: Cut The Mobile Internet Save Money On Your Smartphone Bill: Cut The Mobile Internet How much are you paying for calls and mobile Internet? Is your iPhone really worth that type of outlay? Do you use your Android tablet enough to justify paying over $50 a month? Read More is also an option, but if you don’t want to go to that extreme, simple data-saving measures can help you keep your smartphone bills in check. Now give us your best tip for cutting down on mobile data usage!